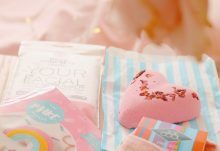 The latest Boxcitement subscription box is practically exploding with colour, fun and a sweet retro vibe. This monthly service always brings a smile to my face with its unique jewellery and quirky gifts and stationery but yet again the clever folk at Boxcitement have upped the ante. This month’s theme is May Fayre and brings a vibrant dash of fun through your letterbox. 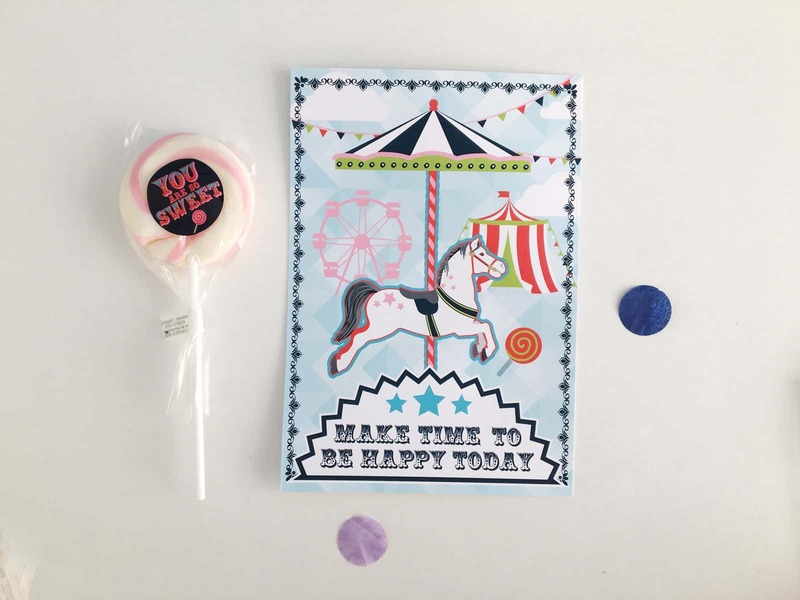 From goldfish to lollipops and delicious donuts, this box brings out the bunting (literally as there’s a cute DIY kit included) to create all the fun of the fair come rain or shine. So what’s in the box? As usual with Boxcitement, it’s crammed full of goodies and it’s difficult to know where to start. 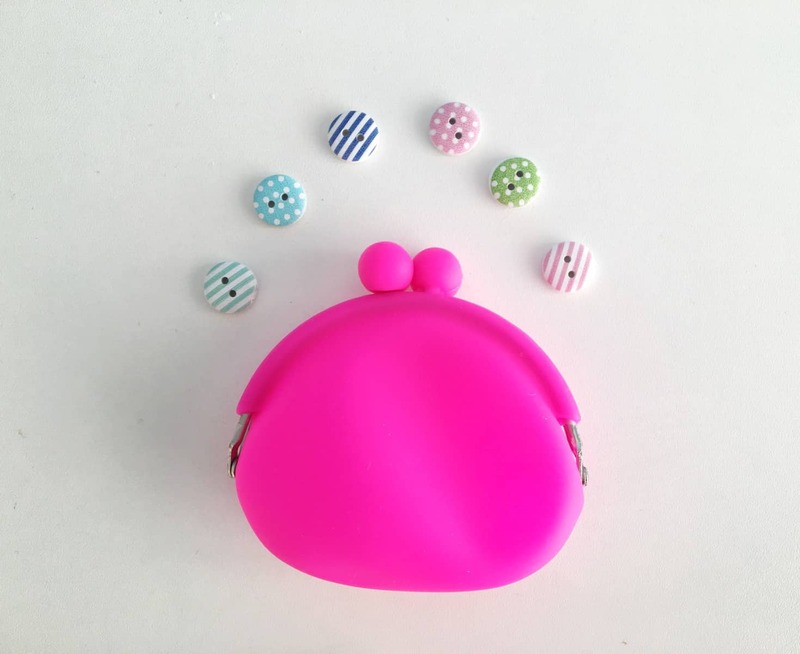 Firstly there’s a neon bright rubber coin purse. I was lucky enough to receive the hot pink version (which I was very pleased about) and it made me think of a similar purse I had when I was much, much younger! This is great if you just want to go out with a few coins and a bit of cash or would be great for a toy box or children to have as their first purse. Next up is an art print of a carousel horse in front of a big top and fairground. This is perfect for a bit of playroom or nursery/child’s bedroom decor or to give you a bit of motivation at your desk. The lollipop with a retro twist is great, and who doesn’t like the odd sweet thing in the post? 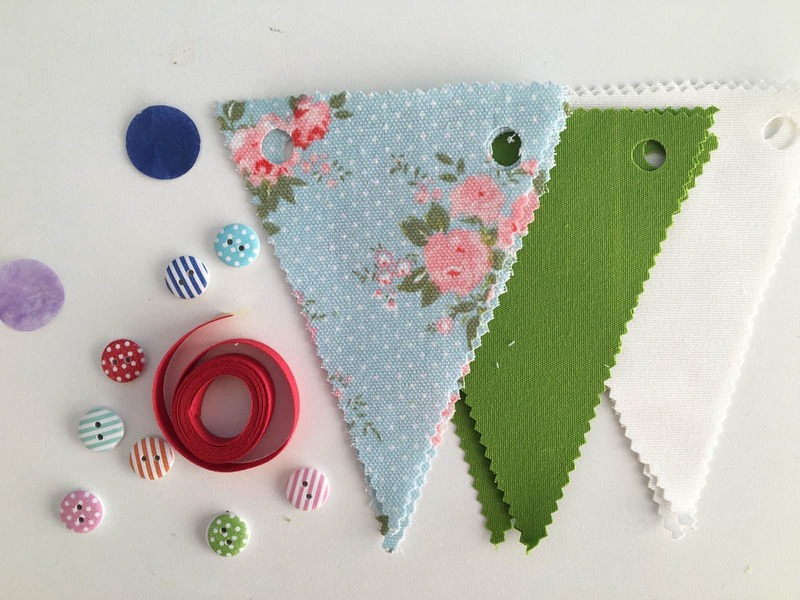 I was really impressed with the Happy Bunting kit. The bunting flags are pre-cut with holes all ready for the provided ribbon to assemble at home. I loved the selection of fabric colours in my kit and I’m going to make this up and hang it in our garden. 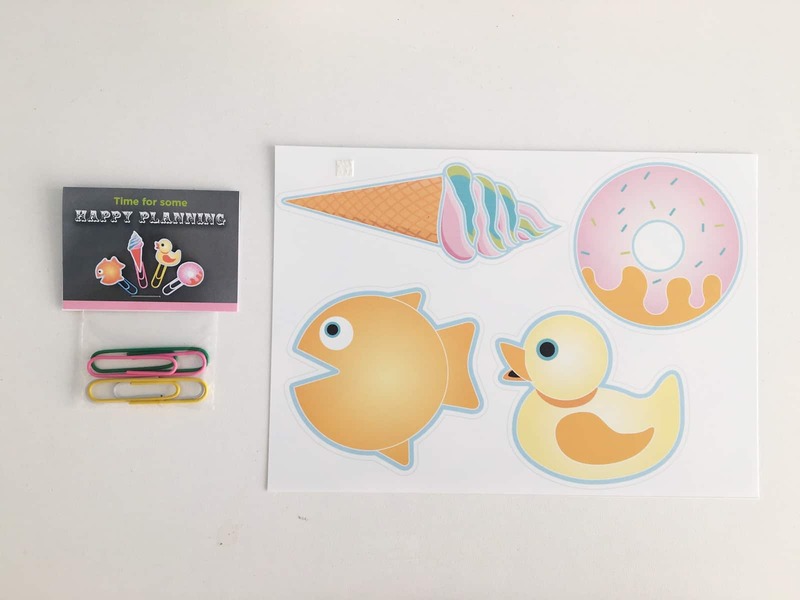 Stationery is a constant in this subscription box and this month’s didn’t disappoint. 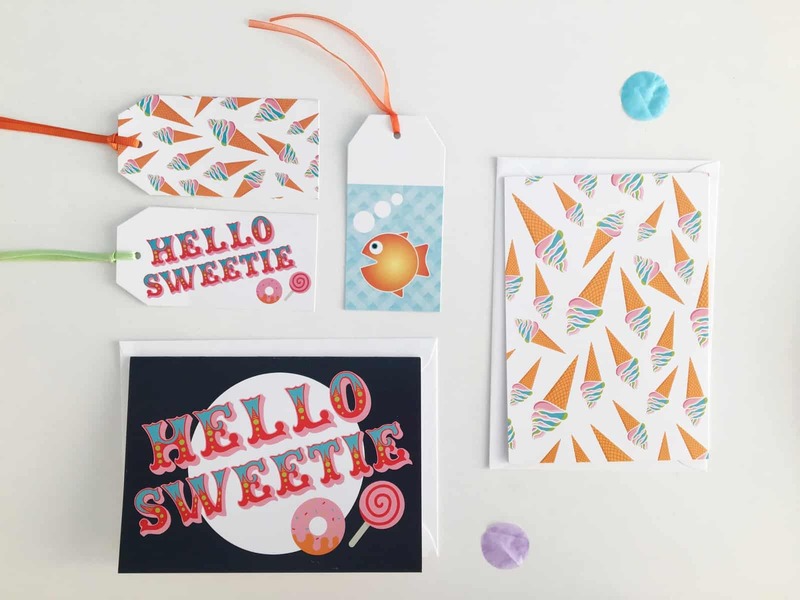 There are three versatile gift tags along with a couple of matching cards with a summery ice cream theme and one that says Hello Sweetie. The cards are great quality as always and made with really good card stock and are perfect for a note or thank you. 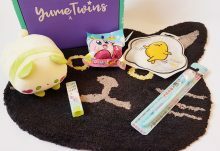 My favourite item in the box is the goldfish brooch. The design of this is brilliant and I was so impressed with how it’s been thought through. 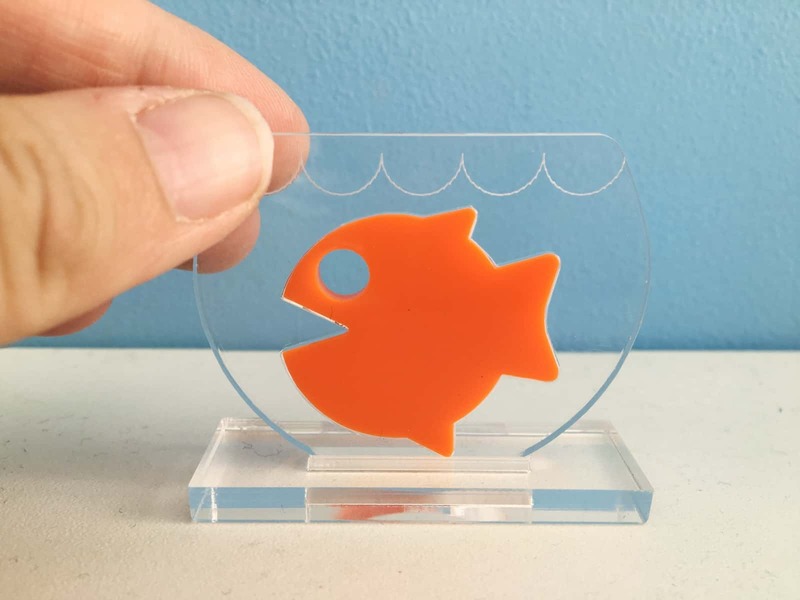 The goldfish badge comes in a small clear bag with blue sequins in – as if you had won it at the fair in a bag of water. It’s in a clear bowl with a stand and to wear it you pop it out of its watery little home. So clever! Finally there’s a kit to make some shrink plastic paper clips. I’ve never done this before but having checked out Boxcitement’s website and seen the finished result I can’t wait to give it a go as they look fab. All in all its another bright and brilliant box from Boxcitement. The theme of May Fayre has been well thought out and the range of items in the box is really varied and all of the same high quality. I can’t wait to see what they come up with next! 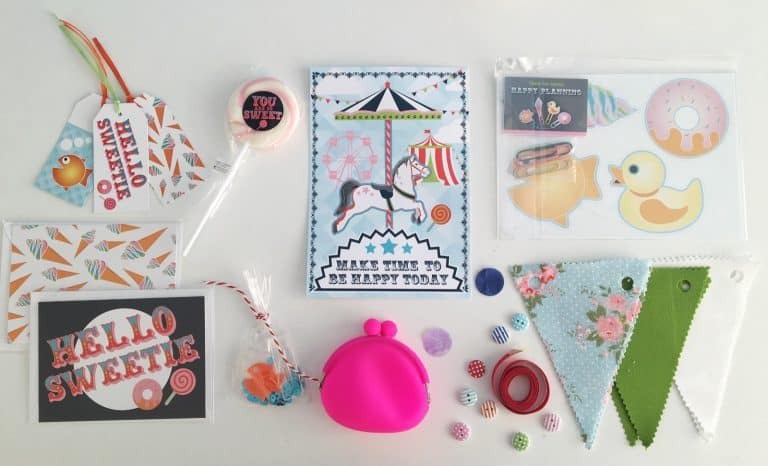 A cute and kitsch bumper box full of fun from the clever people at Boxcitement which is sure to bring some joy through your letterbox. A great theme and fantastic quality.